A skilled leader will effectively moderate and guide a meeting toward productive decisions and action. Here are a few tips I’ve learned. Keep the discussion moving. You’ll want to maintain a sense of polite urgency. You want to push hard enough to keep the meeting moving but not too hard that you don’t allow time for adequate discussion and thoughtful consideration. Encourage participation. Often the quiet attendees have the most to offer. They simply need some encouragement. Ask direct questions to keep everyone involved. Compliment ideas and contributions. Whenever possible, make someone else look good in a meeting. Press for a decision. 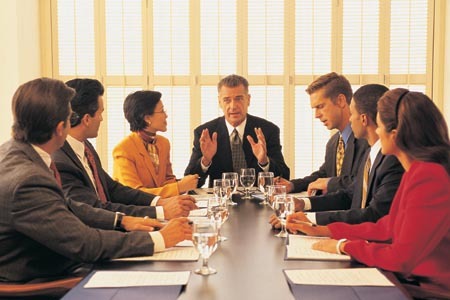 Many meetings become a “talking circle.” People talk around the ideas, but never make any decisions. Press for decision. Create an action plan. Once a decision is made, you’ll want to decide who does what. Set deadlines. After each assignment is made, you’ll either want to set a deadline, or ask, “When do you think you can have this done?” Once a person commits, you’ll want to hold them to the deadline. Plan your communication. Since you’ve intentionally kept your meeting on the smaller side, there will probably be several (or many) people who will need to know some of the content from the meeting. Ask “Who needs to know what?” Plan your communication strategy and execute it well.